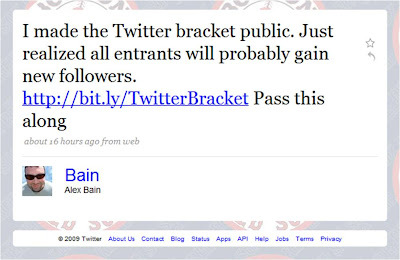 I love Alex's (@Bain) idea to hold an NCAA Basketball Tournament for people on Twitter . I think this bracket could get huge. I'm signed up as @ScottOrn. Pass it on!